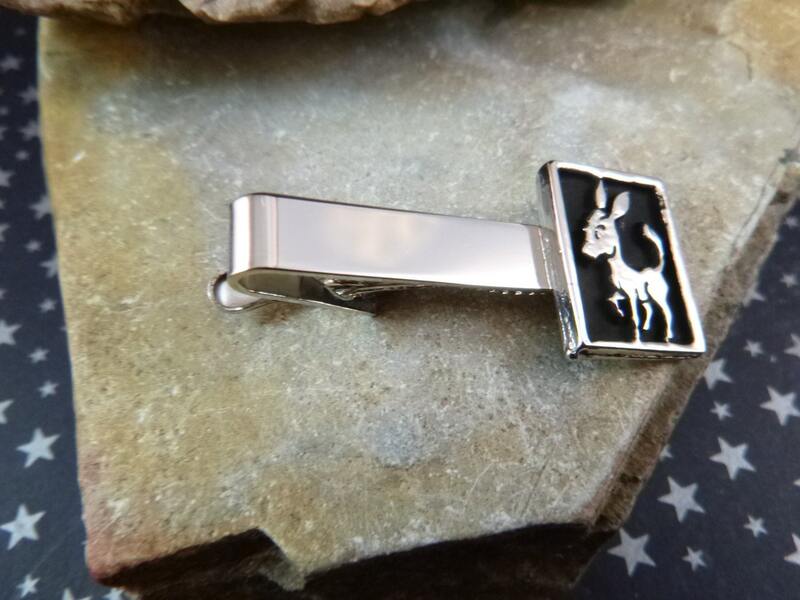 From Election Day to July 4th and anytime in between this donkey symbol of the Democratic Party is perfect for those wanting to proclaim their affiliation. 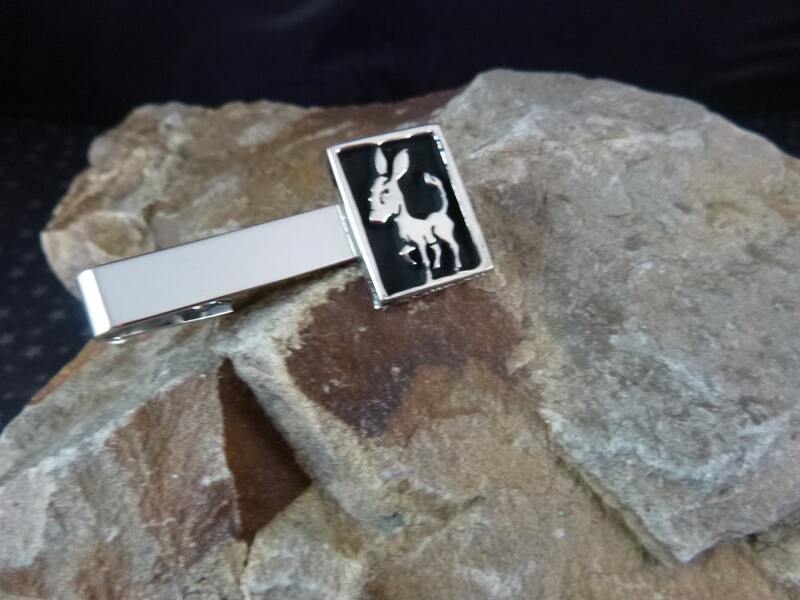 The silver tone donkey is set again a black background. 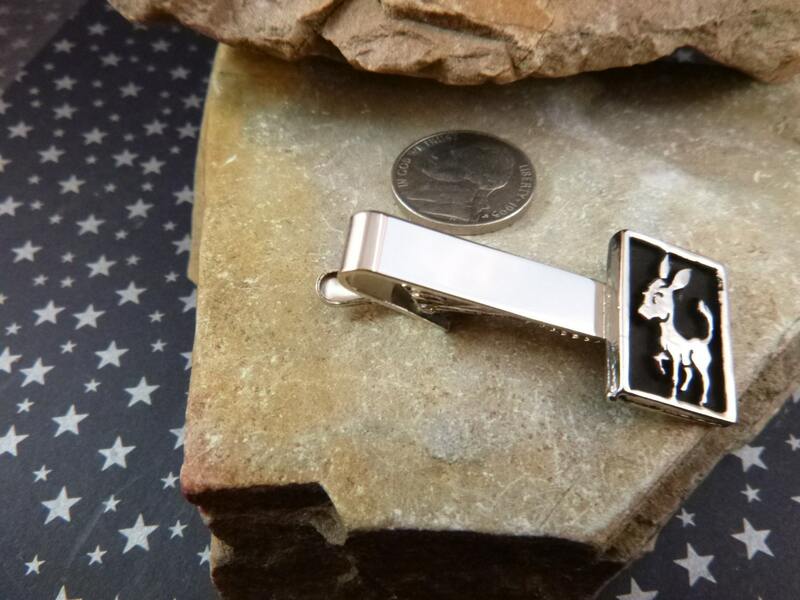 The clip measures 1.75” long with its face .5” wide and .75” tall. 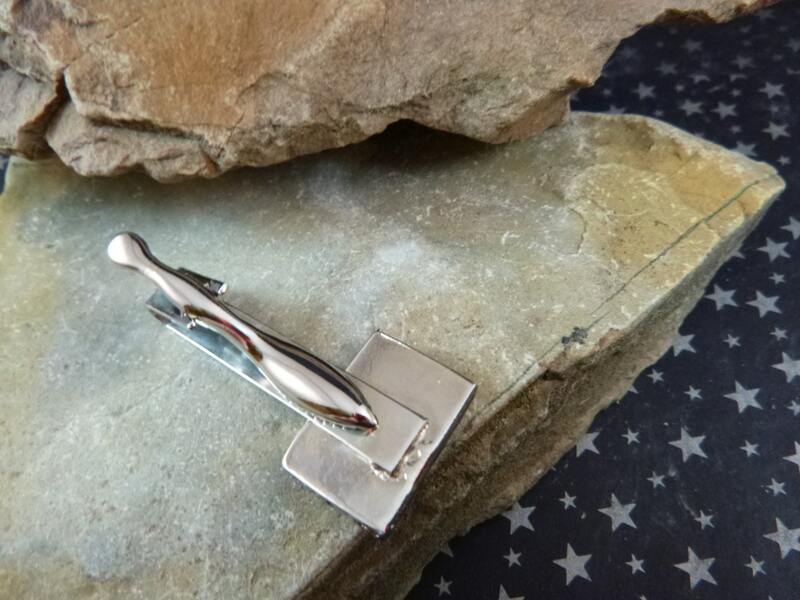 Overall the piece is in very good vintage condition with a few light scratches on the tie clasp and under the clip. 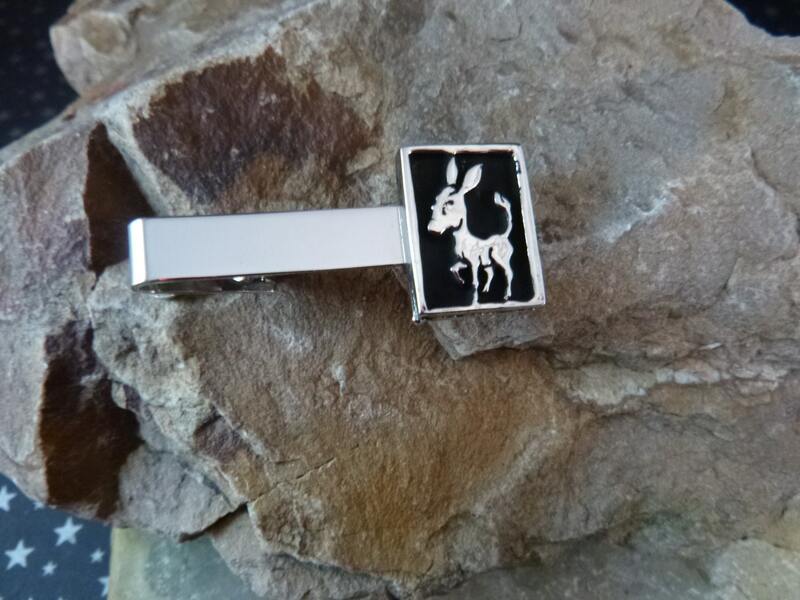 The pictures offer additional perspective on this vintage Democrat Donkey tie clasp.